Precision Pool is the one stop shop for backyard fun in North East Massachusetts and Seacoast NH. Not just beautiful custom in-ground pools we also sell award winning hot tubs, Endless Pool Fitness Systems, and the incredibly durable Seaside Casual outdoor furniture. It's time to start treating your backyard like any other room in your home and fill it with carefully crafted outdoor features that will make you the envy of the neighborhood. Give us a call at 978-388-2585 or stop by our store on rt. 110 in Amesbury MA. Why Visit Precision Pool and The Hot Tub Place Amesbury? 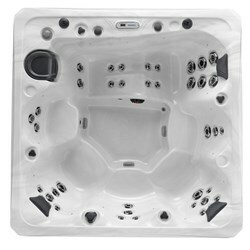 Amazing service from the entire process of helping us pick the right hot tub for our family to the installation to making sure we were satisfied. Service is excellent! Jay and Jim really understand customer service excellence! Extremely happy with their service and especially their new online store for chemicals!!! Highly recommended! !